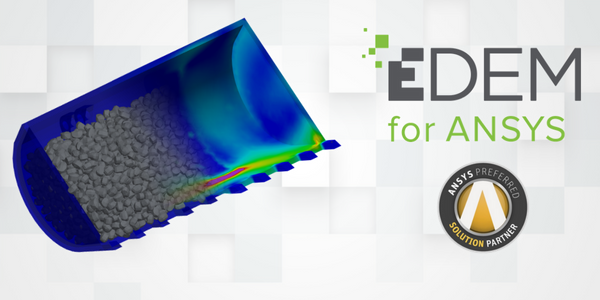 EDEM, a leader in Discrete Element Method (DEM) technology for bulk material simulation, announces the availability of its specialized tool ‘EDEM for ANSYS’ from the ANSYS app store, enabling a wider number of engineers to use and benefit from the integration between the two technologies. Launched in 2017, EDEM for ANSYS software enables engineers designing heavy equipment such as bucket loaders, truck, and diggers, to add realistic bulk material loads easily in ANSYS structural analysis. Getting representative load data is critical to have confidence in a design and ensure its durability and performance. With EDEM technology, engineers no longer have to rely on hand-calculations, assumptions or methods such as hydrostatic pressure loads to determine equipment loading and they are able to reduce the frequency and cost of expensive physical prototyping. EDEM for ANSYS is an easy to use tool fully streamlined and integrated to work within the ANSYS Workbench environment. It has been designed so that no knowledge or expertise in bulk material simulation is needed to use it. Users can select materials from EDEM’s proprietary library of over 40,000 ready-to-use materials models representing ores, soils, rocks, gravels, etc. for realistic material loads. All analysis is performed directly in ANSYS – in an environment familiar to users. EDEM for ANSYS is now available to purchase on the ANSYS app store, which contains hundreds of free and paid apps developed by ANSYS and their trusted partners. A free eLearning course is available to users to help them get started with the tool. “We have worked with ANSYS for over 10 years and as one of their preferred solution partners, we are thrilled to see our EDEM for ANSYS solution available on the ANSYS App store which will make It easily accessible to the ANSYS community and bring added value to users,” said Richard La Roche, CEO of EDEM.